Living a Fit and Full Life: Let the SanDisk iXpand™ Base Charge and Back Up Your iPhone While You Relax! Let the SanDisk iXpand™ Base Charge and Back Up Your iPhone While You Relax! Never worry about losing your memories again. Every time you charge your iPhone with the iXpand Base(TM), it automatically backs up your photos, videos and contacts for you.2 The iXpand Base offers plenty of room to save your files in their original quality with no worry about recurring monthly fees for Internet-based storage. Designed for everyday use with a soft rubber top, a sturdy base, and a wrap-around groove to keep your Apple Lightning cable tidy. The iXpand Base is also engineered for convenience, delivering fast-charging with 15W of power and a companion app for backing up and restoring your content to your iPhone. 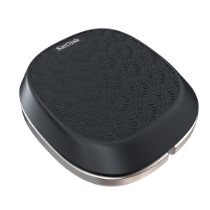 Let the SanDisk iXpand™ Base charge and back up your iPhone while you relax! As a blogger and a mom of 4 I take a lot of pictures and videos which is why I absolutely love SanDisk's iXpand™ Base. Not only does it back up all my photos, videos and contacts but it does it all fast and conveniently! 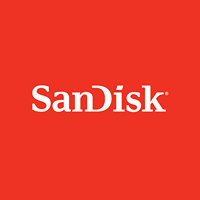 I plug my phone in every night to charge so now with the SanDisk iXpand™ Base I can charge and backup my phone every night and never have to worry about losing my photos, videos or contacts again. I also love how neat and tidy the SanDisk iXpand™ Base keeps all my cables and how nice it looks on my nightstand. 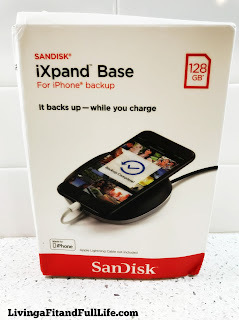 SanDisk's iXpand™ Base is the perfect solution for anyone with a iPhone and I highly recommend it!